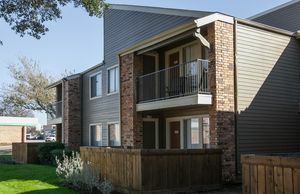 Bedford Creek Apartments is a pet-friendly apartment community and provides a wonderful place for not only you to live, but also a wonderful place for your pet to live. We welcome cats and dogs under 55 lbs with a $400 pet deposit ($200 of which is non-refundable). If you have any questions, please do not hesitate to call during our normal business hours to ask about or pet policies and our pet friendly amenities.